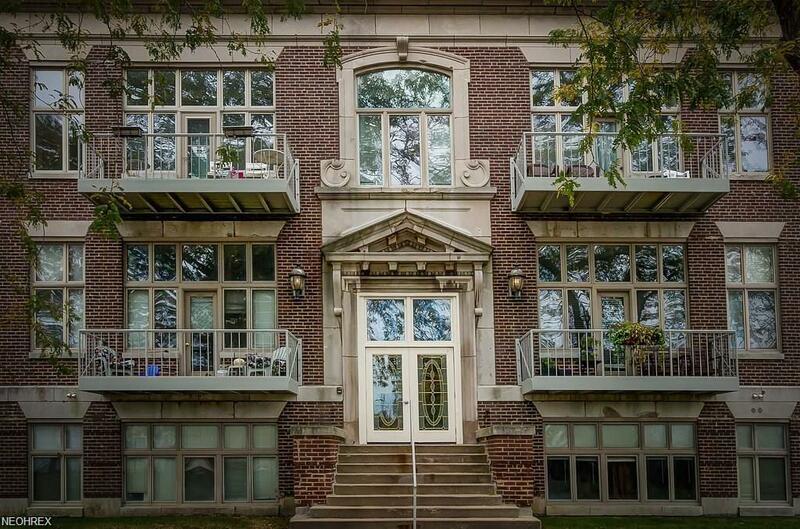 Enjoy easy, carefree living in this charming 2 bedroom condo right next to Lake Erie. This well cared for condo boasts an updated kitchen, bathroom, paint, and also new ceramic tile flooring in dining and great room areas...no worries of maintenance or visible wear and tear in these high traffic areas. Enjoy an unobstructed view of a quaint courtyard from the wall of tall windows that lead to a cozy balcony. In suite Laundry room, 12 ft ceilings in Master Bedroom and Great Room, new AC (2017) and Hot water tank( 2013), secured access to building. This condo is as beautiful inside as the view is outside. More than just move in condition.Great location with lakeside living in beautiful Fairport Harbor. Schedule your personal showing today!